The domain within your query sequence starts at position 187 and ends at position 286; the E-value for the CH domain shown below is 4.57e-28. 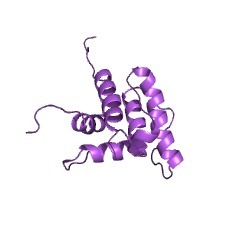 Actin binding domains present in duplicate at the N-termini of spectrin-like proteins (including dystrophin, alpha-actinin). These domains cross-link actin filaments into bundles and networks. 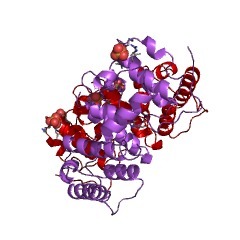 A calponin homology domain is predicted in yeasst Cdc24p. 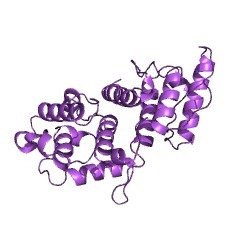 A number of actin-binding proteins, including spectrin, alpha-actinin and fimbrin, contain a 250 amino acid stretch called the actin binding domain (ABD). The ABD has probably arisen from duplication of a domain which is also found in a single copy in a number of other proteins like calponin or the vav proto-oncogene and has been called calponin homology (CH) domain [(PUBMED:9708889), (PUBMED:9887274)]. 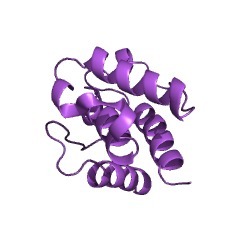 Proteins containing only a single amino terminal CH domain. 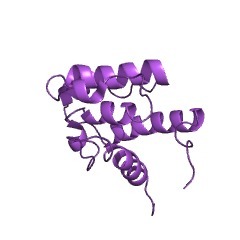 Each single ABD, comprising two CH domains, is able to bind one actin monomer in the filament. The amino terminal CH domain has the intrinsic ability to bind actin, albeit with lower affinity than the complete ABD, whereas the carboxy terminal CH bind actin extremely weakly or not at all. Nevertheless both CH domains are required for a fully functional ABD; the C-terminal CH domain contributing to the overall stability of the complete ABD through inter-domain helix-helix interactions [(PUBMED:9708889)]. 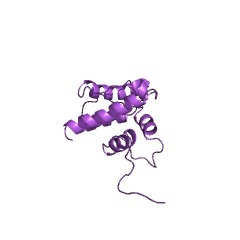 Some of the proteins containing a single CH domain also bind to actin, although this has not been shown to be via the single CH domain alone [(PUBMED:9887274)]. 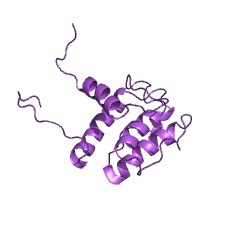 In addition, the CH domain occurs also in a number of proteins not known to bind actin, a notable example being the vav protooncogene. 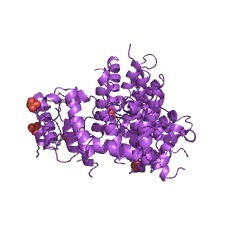 The resolution of the 3D structure of various CH domains has shown that the conserved core consist of four major alpha-helices [(PUBMED:9887274)]. 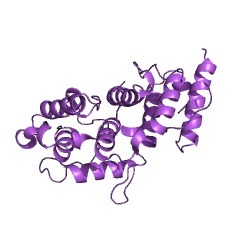 Calponin, which is involved in the regulation of contractility and organisation of the actin cytoskeleton in smooth muscle cells [(PUBMED:11839310)]. 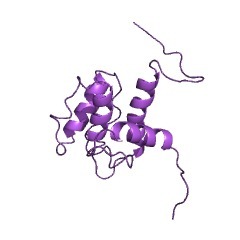 Beta-spectrin, a major component of a submembrane cytoskeletal network connecting actin filaments to integral plasma membrane proteins [(PUBMED:17121810)]. 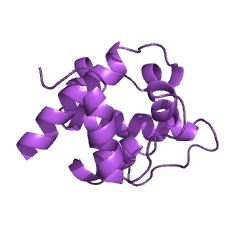 The actin-cross-linking domain of the fimbrin/plastin family of actin filament bundling or cross-linking proteins [(PUBMED:9302997)]. 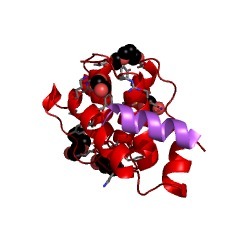 Utrophin,a close homologue of dystrophin [(PUBMED:9887274)]. 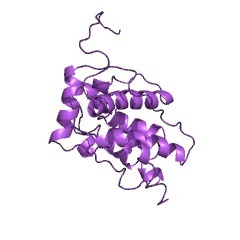 Dystrophin, the protein found to be defective in Duchenne muscular dystrophy; this protein contains a tandem repeat of two CH domains [(PUBMED:10801490)]. 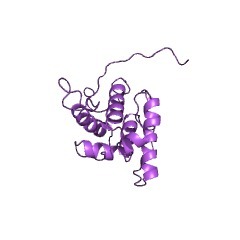 Actin-binding domain of plectin, a large and widely expressed cytolinker protein [(PUBMED:15128297)]. 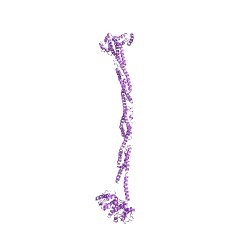 The N-terminal microtubule-binding domain of microtubule-associated protein eb1 (end-binding protein), a member of a conserved family of proteins that localise to the plus-ends of microtubules [(PUBMED:12857735)]. 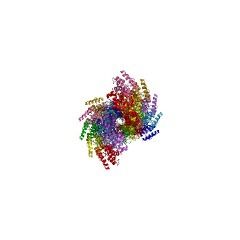 Ras GTPase-activating-like protein rng2, an IQGAP protein that is essential for the assembly of an actomyosin ring during cytokinesis [(PUBMED:15272162)]. 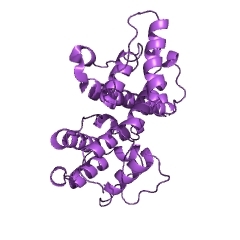 Transgelin, which suppresses androgen receptor transactivation [(PUBMED:17082327)]. There are 66728 CH domains in 45684 proteins in SMART's nrdb database. Taxonomic distribution of proteins containing CH domain. This tree includes only several representative species. The complete taxonomic breakdown of all proteins with CH domain is also avaliable. Click on the protein counts, or double click on taxonomic names to display all proteins containing CH domain in the selected taxonomic class. 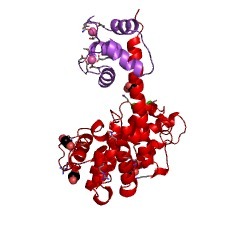 Structural basis for dimerization of the Dictyostelium gelation factor (ABP120) rod. 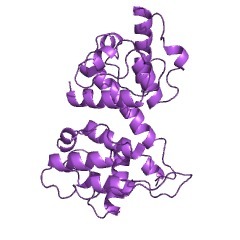 Gelation factor (ABP120) is one of the principal actin-cross-linking proteins of Dictyostelium discoideum. 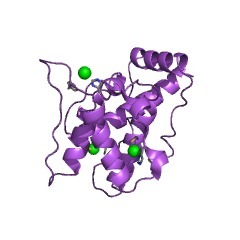 The extended molecule has an N-terminal 250-residue actin-binding domain and a rod constructed from six 100-residue repeats that have an Ig fold. The ability to dimerize is crucial to the actin cross-linking function of gelation factor and is mediated by the rod in which the two chains are arranged in an antiparallel fashion. 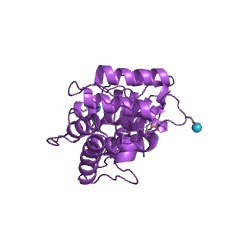 We report the 2.2 A resolution crystal structure of rod domains 5 and 6, which shows that dimerization is mediated primarily by rod domain 6 and is the result of a double edge-to-edge extension of beta-sheets. Thus, contrary to earlier proposals, the chains of the dimeric gelation factor molecule overlap only within domain 6, and domains 1-5 do not pair with domains from the other chain. 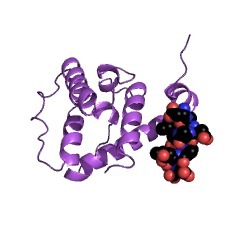 This information allows construction of a model of the gelation factor molecule and suggests how the chains in the related molecule filamin (ABP280) may interact. 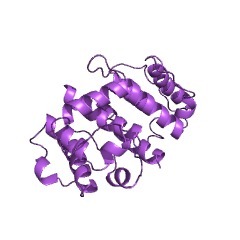 Crystal structure of a calponin homology domain. The three-dimensional structure of the calponin homology domain present in many actin binding cytoskeletal and signal-transducing proteins has been determined at 2.0 A resolution. 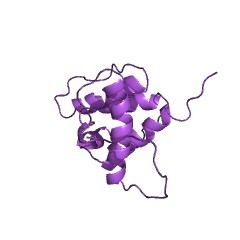 The structure of an actin-crosslinking domain from human fimbrin. 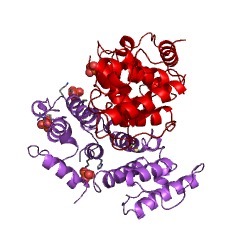 Evidence for a conformational change in actin induced by fimbrin (N375) binding. 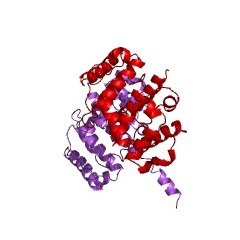 Fimbrin belongs to a superfamily of actin cross-linking proteins that share a conserved 27-kD actin-binding domain. This domain contains a tandem duplication of a sequence that is homologous to calponin. Calponin homology (CH) domains not only cross-link actin filaments into bundles and networks, but they also bind intermediate filaments and some signal transduction proteins to the actin cytoskeleton. 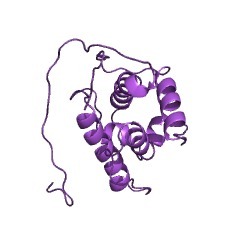 This fundamental role of CH domains as a widely used actin-binding domain underlines the necessity to understand their structural interaction with actin. Using electron cryomicroscopy, we have determined the three-dimensional structure of F-actin and F-actin decorated with the NH2-terminal CH domains of fimbrin (N375). In a difference map between actin filaments and N375-decorated actin, one end of N375 is bound to a concave surface formed between actin subdomains 1 and 2 on two neighboring actin monomers. In addition, a fit of the atomic model for the actin filament to the maps reveals the actin residues that line, the binding surface. 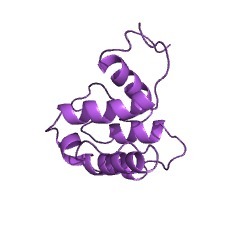 The binding of N375 changes actin, which we interpret as a movement of subdomain 1 away from the bound N375. This change in actin structure may affect its affinity for other actin-binding proteins and may be part of the regulation of the cytoskeleton itself. Difference maps between actin and actin decorated with other proteins provides a way to look for novel structural changes in actin. F-actin and G-actin binding are uncoupled by mutation of conserved tyrosine residues in maize actin depolymerizing factor (ZmADF). Actin depolymerizing factors (ADF) are stimulus responsive actin cytoskeleton modulating proteins. They bind both monomeric actin (G-actin) and filamentous actin (F-actin) and, under certain conditions, F-actin binding is followed by filament severing. In this paper, using mutant maize ADF3 proteins, we demonstrate that the maize ADF3 binding of F-actin can be spatially distinguished from that of G-actin. One mutant, zmadf3-1, in which Tyr-103 and Ala-104 (equivalent to destrin Tyr-117 and Ala-118) have been replaced by phenylalanine and glycine, respectively, binds more weakly to both G-actin and F-actin compared with maize ADF3. A second mutant, zmadf3-2, in which both Tyr-67 and Tyr-70 are replaced by phenylalanine, shows an affinity for G-actin similar to maize ADF3, but F-actin binding is abolished. The two tyrosines, Tyr-67 and Tyr-70, are in the equivalent position to Tyr-82 and Tyr-85 of destrin, respectively. Using the tertiary structure of destrin, yeast cofilin, and Acanthamoeba actophorin, we discuss the implications of removing the aromatic hydroxyls of Tyr-82 and Tyr-85 (i.e., the effect of substituting phenylalanine for tyrosine) and conclude that Tyr-82 plays a critical role in stabilizing the tertiary structure that is essential for F-actin binding. 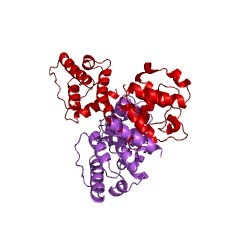 We propose that this tertiary structure is maintained as a result of a hydrogen bond between the hydroxyl of Tyr-82 and the carbonyl of Tyr-117, which is located in the long alpha-helix; amino acid components of this helix (Leu-111 to Phe-128) have been implicated in G-actin and F-actin binding. 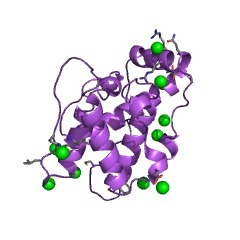 The structures of human destrin and yeast cofilin indicate a hydrogen distance of 2.61 and 2.77 A, respectively, with corresponding bond angles of 99.5 degrees and 113 degrees, close to the optimum for a strong hydrogen bond. Essential functions and actin-binding surfaces of yeast cofilin revealed by systematic mutagenesis. Cofilin stimulates actin filament turnover in vivo. The phenotypes of twenty yeast cofilin mutants generated by systematic mutagenesis were determined. Ten grew as well as the wild type and showed no cytoskeleton defects, seven were recessive-lethal and three were conditional-lethal and caused severe actin organization defects. Biochemical characterization of interactions between nine mutant yeast cofilins and yeast actin provided evidence that F-actin binding and depolymerization are essential cofilin functions. 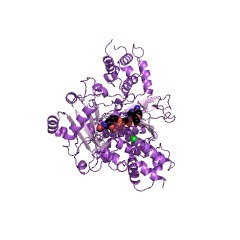 Locating the mutated residues on the yeast cofilin molecular structure allowed several important conclusions to be drawn. 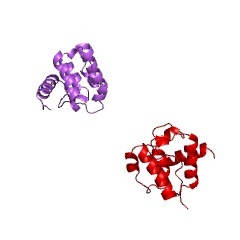 First, residues required for actin monomer binding are proximal to each other. Secondly, additional residues are required for interactions with actin filaments; these residues might bind an adjacent subunit in the actin filament. 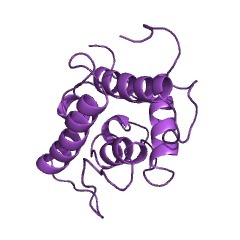 Thirdly, despite striking structural similarity, cofilin interacts with actin in a different manner from gelsolin segment-1. Fourthly, a previously unrecognized cofilin function or interaction is suggested by identification of spatially proximal residues important for cofilin function in vivo, but not for actin interactions in vitro. 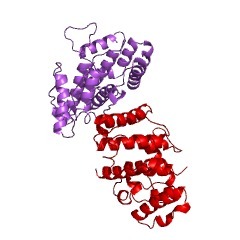 Finally, mutation of the cofilin N-terminus suggests that its sequence is conserved because of its critical role in actin interactions, not because it is sometimes a target for protein kinases. 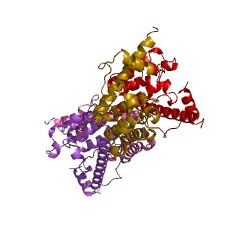 Cysteine scanning mutagenesis at 40 of 76 positions in villin headpiece maps the F-actin binding site and structural features of the domain. 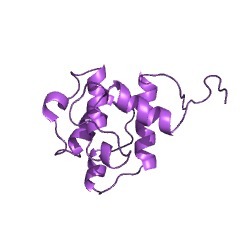 Villin headpiece, the 76 amino acid, C-terminal domain of villin, is one of the two F-actin binding sites in villin necessary for F-actin bundling activity. 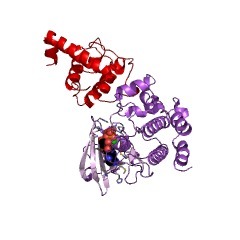 Expression and study of recombinant headpiece revealed the domain to be remarkably thermostable (Tm = 74 degrees C) for a non-disulfide-bonded domain. 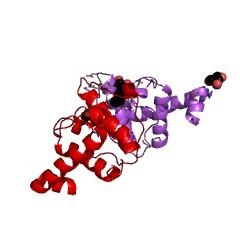 Forty independent point mutations to cysteine of headpiece have been purified and tested for their actin binding activity, cysteine reactivity, and thermal stability. These assays identify two segments of headpiece, near amino acids 38 and 70 of headpiece, in which mutations to cysteine significantly disrupt cosedimentation of headpiece with F-actin. 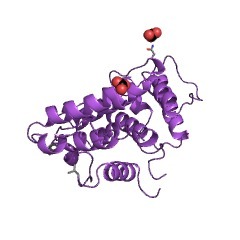 Assay of the thermal stability of these mutants and assay of the reactivity of the introduced cysteine show that these amino acids are mutations at the protein surface that do not perturb the overall structure of the domain. 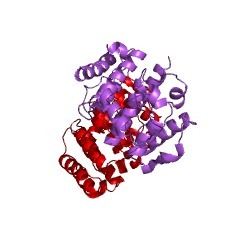 The actin binding mutants are replacements to cysteine of Lys38, Glu39, Lys65, Lys70, Lys71, Leu75, and Phe76 of headpiece. We propose that these discontinuous segments of charged amino acids define the F-actin binding contacts of the headpiece domain. The assay of mutants for effects on the thermal stability of helical structure as well as the assay of reactivity of the introduced sulfhydryl group identify candidate positions that are involved in the stabilizing core and internal structure of the domain. 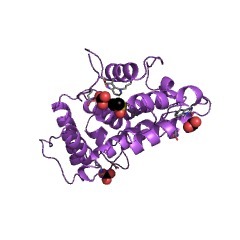 The cysteine scanning mutagenesis also identifies an amino-terminal subdomain (Val1-Leu35) and a predominantly helical carboxy-terminal subdomain (Pro36-Phe76). 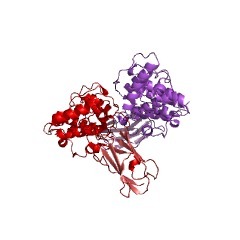 IQGAP1, a calmodulin-binding protein with a rasGAP-related domain, is a potential effector for cdc42Hs. Proteins that associate with the GTP-bound forms of the Ras superfamily of proteins are potential effector targets for these molecular switches. 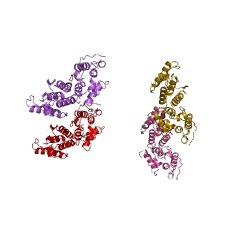 A 195 kDa protein was purified from cell lysates by affinity chromatography on immobilized cdc42Hs-GTP and a corresponding cDNA was isolated. Sequence analysis revealed localized identities to calponin, the WW domain, unconventional myosins and to the rasGAP-related domain (GRD) contained in IRA, NF-1, SAR1 and rasGAP. 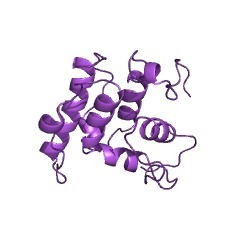 p195 was found to be identical to IQGAP1, a protein previously reported to bind ras. Purified recombinant p195/IQGAP1 bound to and inhibited the GTPase activity of cdc42Hs and rac whereas no interaction with ras was detected. 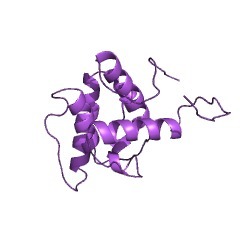 The C-terminal half of IQGAP1 containing the GRD bound to cdc42 and rac in a GRD-dependent fashion, but a smaller fragment containing only the GRD did not. Cdc42 was also co-immunoprecipitated from cell lysates with antibody specific to p195/IQGAP1. 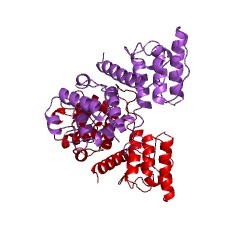 Calmodulin also co-immunoprecipitated with p195/IQGAP1 and was found to associate with fragments containing the IQ domain. Expression of a cDNA fragment encoding the GRD inhibited the CDC24/CDC42 pathway in yeast, but no effect on ras was observed. In mammalian cells, both endogenous and ectopically expressed p195/IQGAP1 were localized to lamellipodia and ruffling cell membranes, where co-localization with actin was apparent. These results suggest that IQGAP1 is an effector target for cdc42Hs and may mediate the effects of this GTPase on cell morphology. 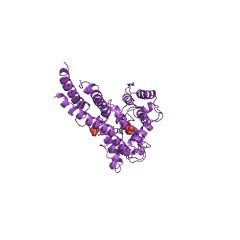 Does Vav bind to F-actin through a CH domain? 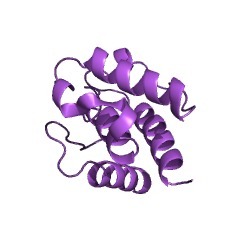 An actin-binding protein domain we call here 'calponin-homology' or CH is present in signalling proteins such as Vav which are involved in activation and inactivation of small G-proteins. Using profile methods, we have detected two repeats of this domain in the actin-binding region of alpha-actinin and related proteins. Based on this, we propose that CH domain in Vav and other signalling proteins is employed for association with filamentous actin, and that this function correlates with their control on the G-proteins Rac and Rho which are involved in the organization of cytoskeleton. 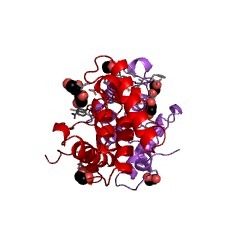 Moesin, ezrin, and p205 are actin-binding proteins associated with neutrophil plasma membranes. Actin-binding proteins in bovine neutrophil plasma membranes were identified using blot overlays with 125I-labeled F-actin. 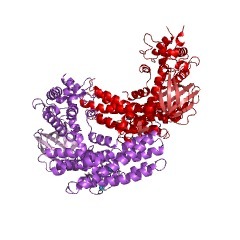 Along with surface-biotinylated proteins, membranes were enriched in major actin-binding polypeptides of 78, 81, and 205 kDa. 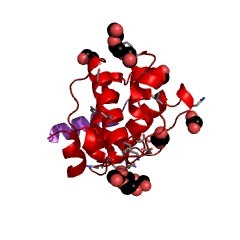 Binding was specific for F-actin because G-actin did not bind. Further, unlabeled F-actin blocked the binding of 125I-labeled F-actin whereas other acidic biopolymers were relatively ineffective. 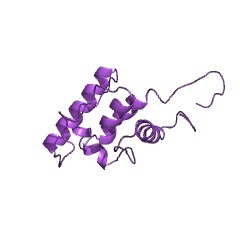 Binding also was specifically inhibited by myosin subfragment 1, but not by CapZ or plasma gelsolin, suggesting that the membrane proteins, like myosin, bind along the sides of the actin filaments. The 78- and 81-kDa polypeptides were identified as moesin and ezrin, respectively, by co-migration on sodium dodecyl sulfate-polyacrylamide gel electrophoresis and immunoprecipitation with antibodies specific for moesin and ezrin. Although not present in detectable amounts in bovine neutrophils, radixin (a third and closely related member of this gene family) also bound 125I-labeled F-actin on blot overlays. 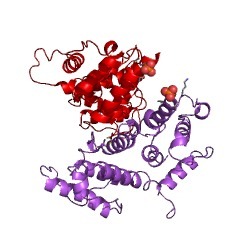 Experiments with full-length and truncated bacterial fusion proteins localized the actin-binding site in moesin to the extreme carboxy terminus, a highly conserved sequence. Immunofluorescence micrographs of permeabilized cells and cell "footprints" showed moesin co-localization with actin at the cytoplasmic surface of the plasma membrane, consistent with a role as a membrane-actin-linking protein. 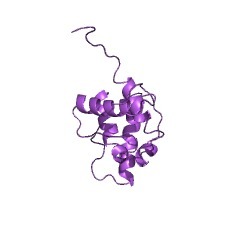 Fimbrin is a homologue of the cytoplasmic phosphoprotein plastin and has domains homologous with calmodulin and actin gelation proteins. 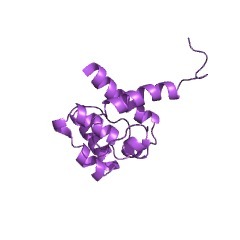 Fimbrin is an actin-bundling protein found in intestinal microvilli, hair cell stereocilia, and fibroblast filopodia. The complete protein sequence (630 residues) of chicken intestine fimbrin has been determined from two full-length cDNA clones. The sequence encodes a small amino-terminal domain (115 residues) that is homologous with two calcium-binding sites of calmodulin and a large carboxy-terminal domain (500 residues) consisting of a fourfold-repeated 125-residue sequence. 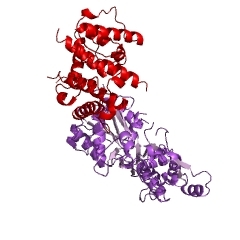 This repeat is homologous with the actin-binding domain of alpha-actinin and the amino-terminal domains of dystrophin, actin-gelation protein, and beta-spectrin. 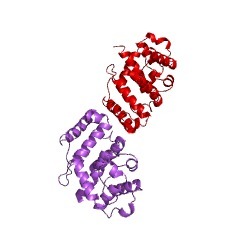 The presence of this duplicated domain in fimbrin links actin bundling proteins and gelation proteins into a common family of actin cross-linking proteins. 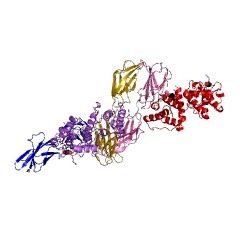 Fimbrin is also homologous in sequence with human L-plastin and T-plastin. L-plastin is found in only normal or transformed leukocytes where it becomes phosphorylated in response to IL 1 or phorbol myristate acetate. T-plastin is found in cells of solid tissues where it does not become phosphorylated. Neoplastic cells derived from solid tissues express both isoforms. The differences in expression, sequence, and phosphorylation suggest possible functional differences between fimbrin isoforms. 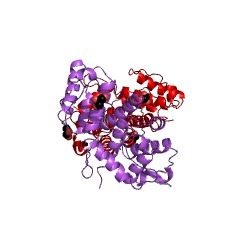 Human endothelial actin-binding protein (ABP-280, nonmuscle filamin): a molecular leaf spring. 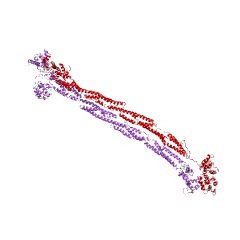 Actin-binding protein (ABP-280, nonmuscle filamin) is a ubiquitous dimeric actin cross-linking phosphoprotein of peripheral cytoplasm, where it promotes orthogonal branching of actin filaments and links actin filaments to membrane glycoproteins. The complete nucleotide sequence of human endothelial cell ABP cDNA predicts a polypeptide subunit chain of 2,647 amino acids, corresponding to 280 kD, also the mass derived from physical measurements of the native protein. 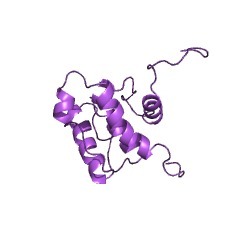 The actin-binding domain is near the amino-terminus of the subunit where the amino acid sequence is similar to other actin filament binding proteins, including alpha-actinin, beta-spectrin, dystrophin, and Dictyostelium abp-120. 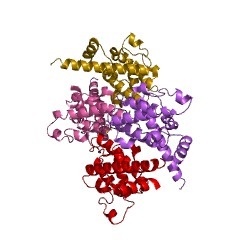 The remaining 90% of the sequence comprises 24 repeats, each approximately 96 residues long, predicted to have stretches of beta-sheet secondary structure interspersed with turns. The first 15 repeats may have substantial intrachain hydrophobic interactions and overlap in a staggered fashion to yield a backbone with mechanical resilience. Sequence insertions immediately before repeats 16 and 24 predict two hinges in the molecule near points where rotary-shadowed molecules appear to swivel in electron micrographs. 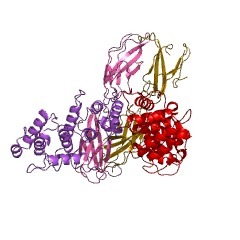 Both putative hinge regions are susceptible to cleavage by proteases and the second also contains the site that binds the platelet glycoprotein Ib/IX complex. 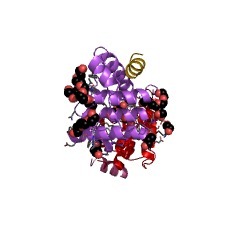 Phosphorylation consensus sequences are also located in the hinges or near them. Degeneracy within every even-numbered repeat between 16 and 24 and the insertion before repeat 24 may convert interactions within chains to interactions between chains to account for dimer formation within a domain of 7 kD at the carboxy-terminus. 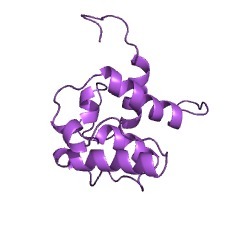 The structure of ABP dimers resembles a leaf spring. Interchain interactions hold the leaves firmly together at one end, whereas intrachain hydrophobic bonds reinforce the arms of the spring where the leaves diverge, making it sufficiently stiff to promote high-angle branching of actin filaments. The large size of the leaves, their interruption by two hinges and flexible actin-binding site, facilitate cross-linking of widely dispersed actin filaments. Purification of human smooth muscle filamin and characterization of structural domains and functional sites. 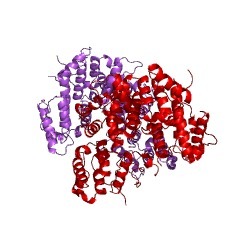 A method was developed to purify human smooth muscle filamin in high yield and structural domains were defined by using mild proteolysis to dissect the molecule into intermediate-sized peptides. Unique domains were defined and aligned by using high-resolution peptide mapping of iodinated peptides on cellulose plates. The amino- and carboxyl-terminal orientation of these domains within the molecule was determined by amino acid sequence analysis of several aligned peptides. In addition to the three unique domains which were identified, a number of smaller and larger fragments were also characterized and aligned within the intact molecule. 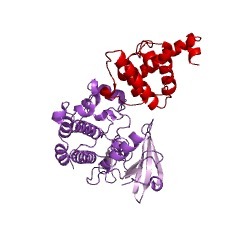 These structural domains and related peptides provide a useful set of defined fragments for further elucidation of structure-function relationships. 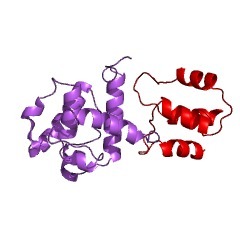 The two known functionally important binding sites of filamin, the self-association site and the actin-binding site, have been localized. Self-association of two monomers in a tail-to-tail orientation involves a small protease-sensitive region near the carboxyl terminal of the intact polypeptide chain. 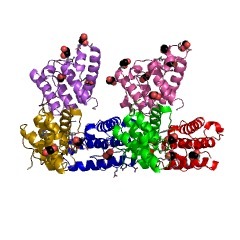 Sedimentation assays indicate that an actin-binding site is located near the blocked amino terminal of the filamin molecule. 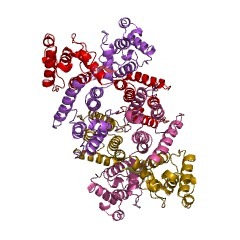 Sequences derived from large peptides mapping near the amino terminal show homology to the amino-terminal actin-binding site of alpha-actinin (chicken fibroblast and Dictyostelium), Dictyostelium 120-kDa actin gelation factor, beta-spectrin (human red cell and Drosophila), and human dystrophin. This homology is particularly interesting for two reasons. 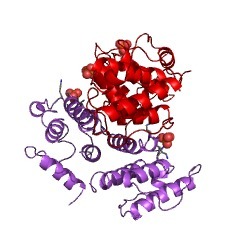 The functional form of filamin is single stranded, in contrast to alpha-actinin and spectrin which are antiparallel double-stranded actin cross-linkers. Also, no homology to the spectrin-like segments which comprise most of the mass of spectrin, alpha-actinin, and dystrophin was found. Instead, the sequence of a domain located near the center of the filamin molecule (tryptic 100-kDa peptide, T100) shows homology to the published internal repeats of the Dictyostelium 120-kDa actin gelation factor. On the basis of these results, a model of human smooth muscle filamin substructure is presented. Also, comparisons of human smooth muscle filamin, avian smooth muscle filamin, and human platelet filamin are reported. SwissProt sequences and OMIM curated human diseases associated with missense mutations within the CH domain. This information is based on mapping of SMART genomic protein database to KEGG orthologous groups. 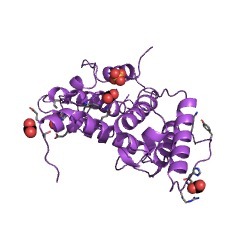 Percentage points are related to the number of proteins with CH domain which could be assigned to a KEGG orthologous group, and not all proteins containing CH domain. Please note that proteins can be included in multiple pathways, ie. the numbers above will not always add up to 100%. 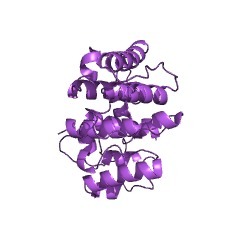 3fer Crystal structure of n-terminal actin-binding domain from human filamin b (tandem ch-domains). 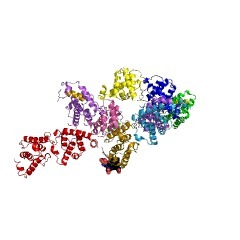 northeast structural genomics consortium target hr5571a.